One of the best ways to understand the true meaning of the Word is to discuss it with others. Join other men of the church as they study the bible in their quest for knowledge in a low-key atmosphere on Wednesday evenings at 4:40 pm at the church. 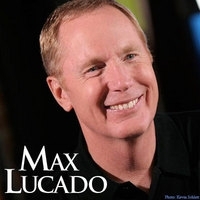 The current topic is the 23rd Psalm and the book, Traveling Light (Releasing the Burdens You Were Never Intended to Bear), by Max Lucado.